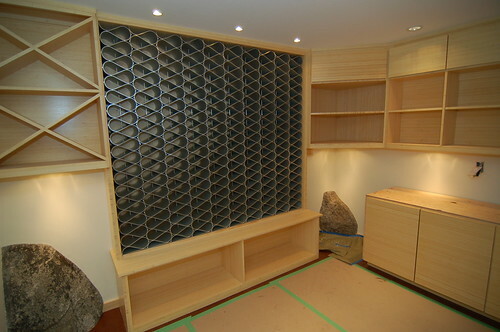 We recently designed cabinetry for a wine cellar utilizing various green elements. The cabinets were made entirely of bamboo 1-ply and 3-ply panels with a water-borne finish. The wine cellar was built beneath the home and around existing boulders which you see protruding into the corners of the room in the photo below.